"A veritable head trip; yet rooted in a believable and sometimes visceral near-future." | Grey is a high performer with attitude. Aled is torn between his morals and his desires. They live in a world where those who believe in absolute truth are on a collision course with those who don't. Society is becoming dangerously polarised and despite a thread of history that binds Aled and Grey together they take opposite sides in the conflict; Grey is recruited by The Project and Aled is given custody of The Proof of Existence. 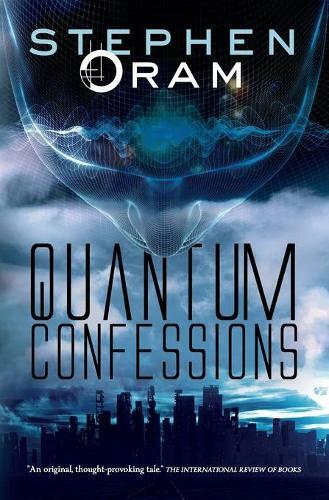 | Against the backdrop of a failing society and experiments to find the link between quantum physics and a supreme being, the real question that unfolds is... | "Who chooses your reality?"